Summer has finally arrived, and Vista Verde is ready to help you and your family create everlasting memories. 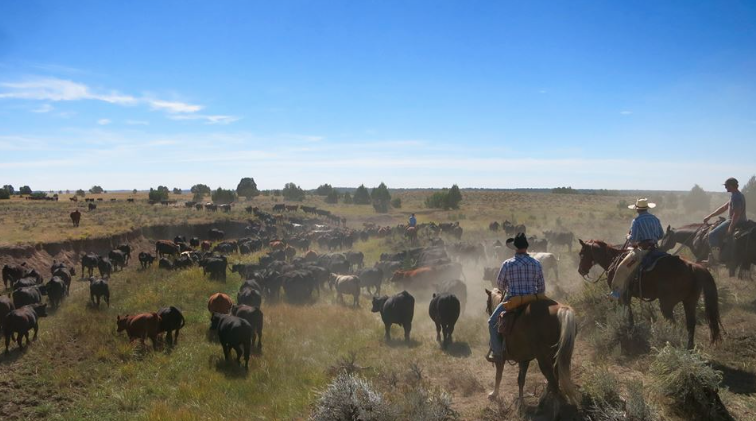 With a variety of activities to choose from, amazing food, and a friendly staff as well as spectacular scenery this Colorado guest ranch is the place to be on your next vacation. Vista Verde expertly combines their all-inclusive plan with true Western hospitality and AAA Four Diamond amenities so that you can sit back and relax or fill your days with thrilling activities. 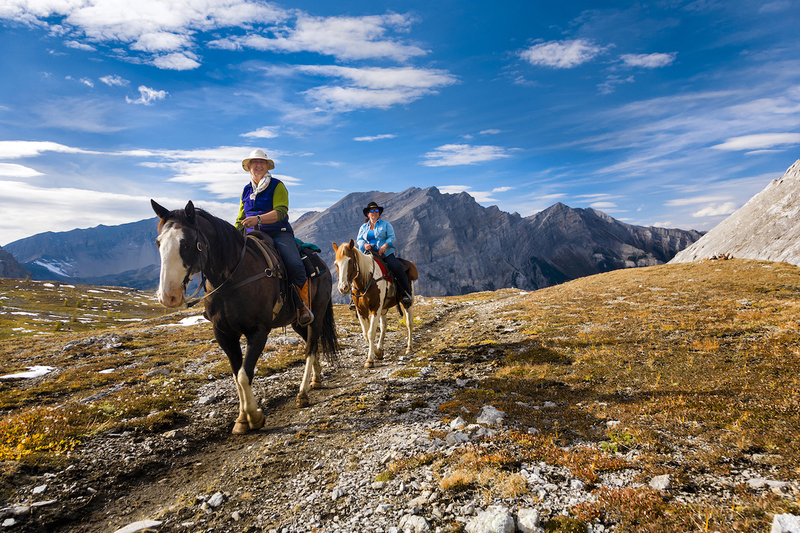 Since there are so many activities to choose from the ranch’s wranglers and guides go the extra mile to ensure that each activity that you pick is tailored to your interest, ability and fitness level. 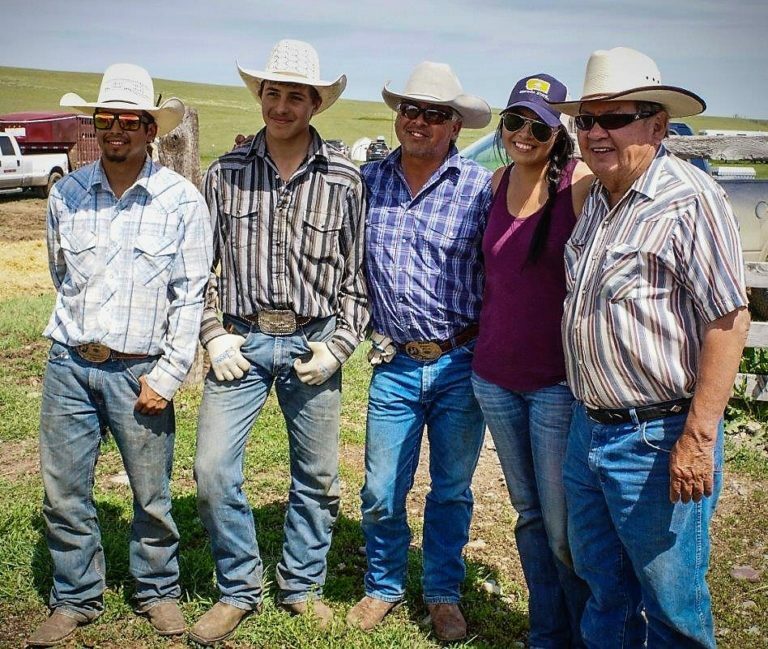 Whether you want to learn a new skill or simply sharpen an existing skill set the ranch provides professional gear and equipment as well as lots of instruction so that you get the most out of your experience. 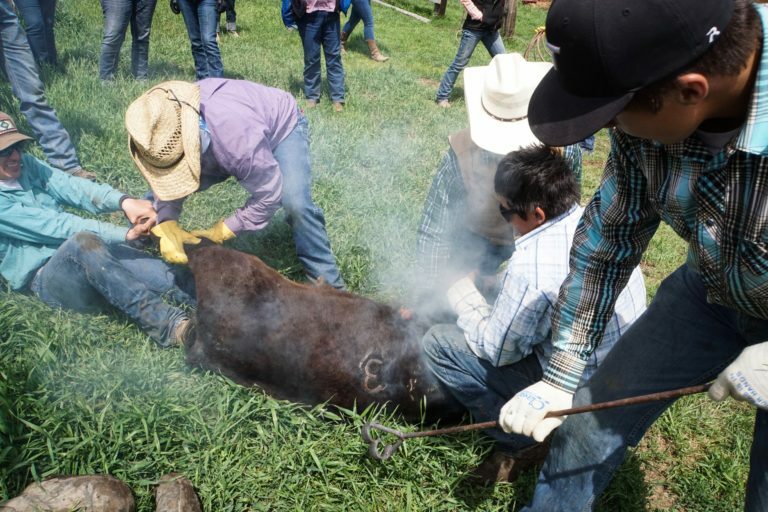 Read on to learn more about the summer activities available at the ranch and start planning your vacation today. The riding program at the ranch not only offers the opportunity to go on adventurous trail rides but also the chance to learn a thing or two with their variety of clinics that explore the different aspects of horsemanship. 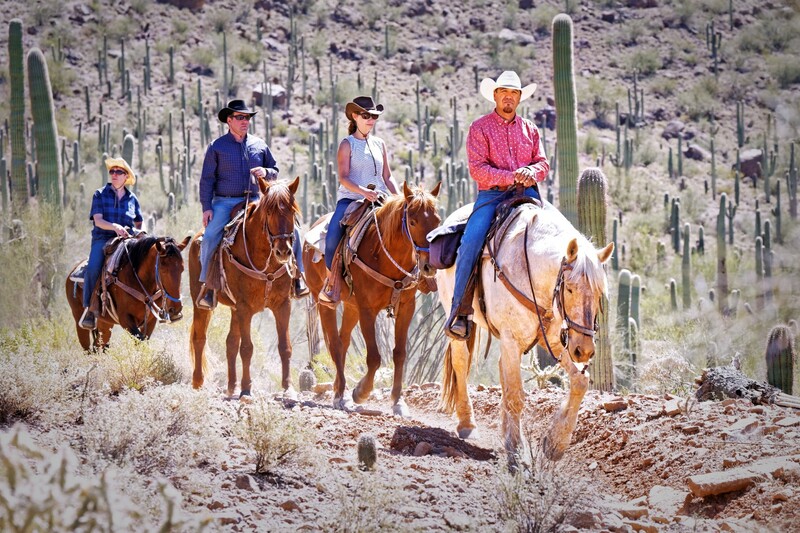 Whether you are a novice or an advanced rider the wranglers will keep it interesting for the duration of your stay. 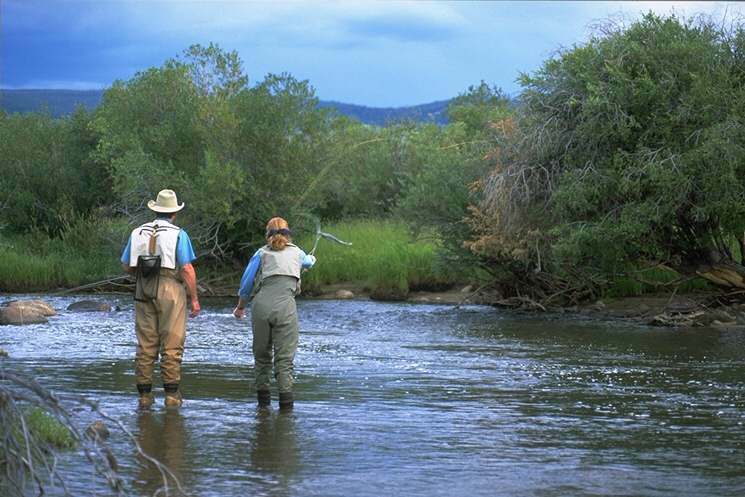 For the fishermen in your group there is nothing like casting your line into the crystal-clear mountain water of the lakes and streams found around the ranch with the Rocky Mountains as your backdrop. The ranch’s guides will help you plan that perfect day of fishing and provide you with invaluable insights and tips to help you get the most out of your day. Mix it up while on your vacation and check out the extensive mountain biking program. Choose from either Mountain Biking, Biking in the Mountains, or Ranch Cruising all of which include instruction so that you’ll feel confident while in the saddle. 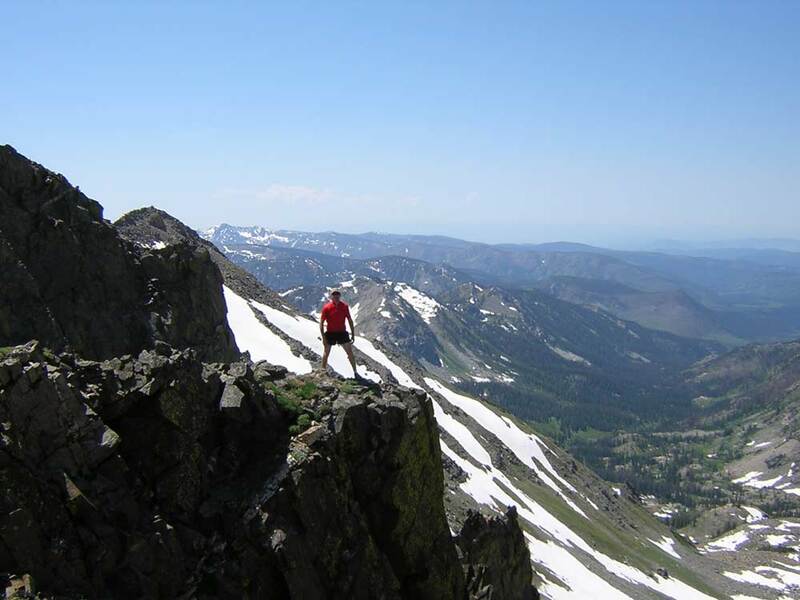 Situated in the Routt National Forest close to the Zirkel Wilderness Area, Vista Verde is close to a plethora of trailheads that provide extraordinary hiking opportunities. Whether you are a seasoned hiker or just want to go on a relaxing family hike a ranch guide will assist you in picking the ideal experience for your needs. 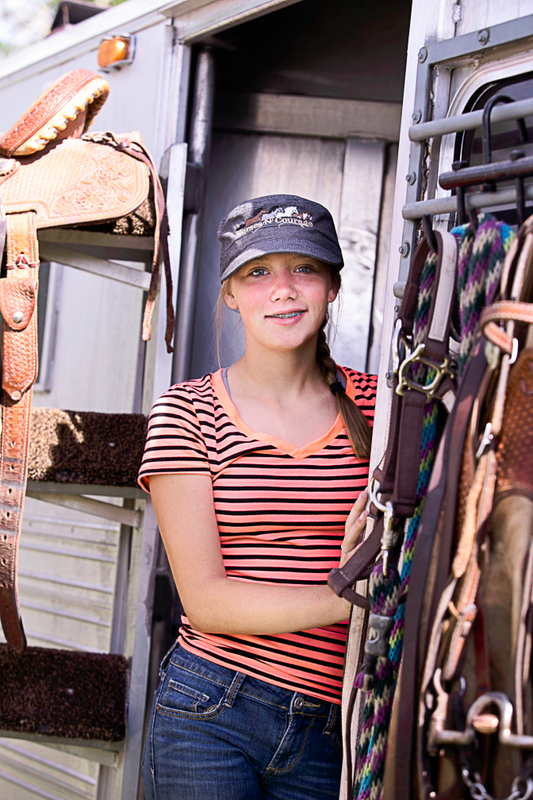 The ranch offers a comprehensive program for all their younger guests. Your kids won’t even miss being connected to their devices while staying at the ranch. Twice a week ranch guides take newbies and experienced rock climbers up the climbing rock where after a few hours of instruction guests can try their hand at climbing and rappelling. Cool off in a high alpine lake surrounded by spectacular mountain scenery and either simply relax on a stand-up-paddleboard or get a full body workout as you paddle from one end to another. With the help of local photographer Carla Jones hone your photography skills so that your vacation shots are truly special. Step outside and experience a yoga class in a natural surrounding. Ideal for stretching out sore muscles as well as connecting with nature. Devyn provides a 1-hour class twice a week at the Wild Yoga hideout a short hike or ride away from the ranch. Getting a massage is always a great idea but especially when you are taking part in lots of physical activities. Be sure to ask about the various massages available. 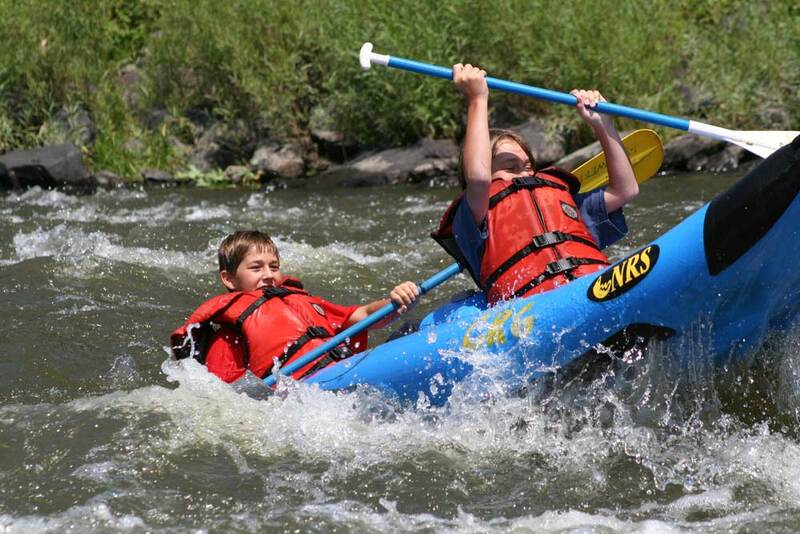 Take part in an adventurous day-long river rafting trip two hour away form the ranch or stay closer to home and kayak on the Yampa river. Be prepared to get wet! Join Chef Cholly for a cooking class or wine tasting. Once a week take a peak at how things work “in the back of the house” and either join in or simply watch how it’s all done. Learn how to evaluate wine and expand your wine vocabulary. As you can see there are lots of activities to keep you entertained during the day. 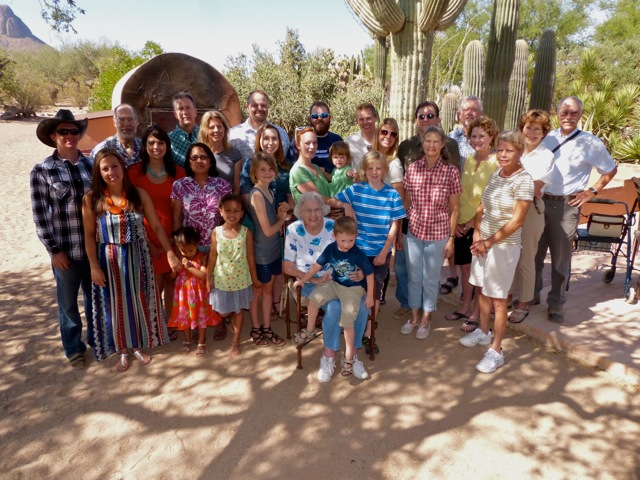 A summer vacation at Vista Verde is what summers should be all about…fun! This week’s blog post is courtesy of Geronimo Trail Guest Ranch. You can see the original post here. Looking to beat the heat? Then come out to Geronimo Trail Guest Ranch for a Gila National Forest summer vacation. The common perception of New Mexico in the summer is that it is a hot desert. However, Geronimo Trail Guest Ranch is located beneath the tall Ponderosa pines in the cool higher elevations of the Black Range Mountains of southwest New Mexico. Not only are we in the forest and mountains, but warm spring waters flow through canyons we ride through. We make sure that every picnic ride we go on takes you to a place where you can take a dip and cool off. And with very low humidity, daytime high temperatures remain comfortable. So what else can you expect during your Gila National Forest summer? No crowds! Geronimo Trail Guest Ranch still has availability for mid-June through mid-July. We are a small, family run guest ranch. There are only 4 cabins and maximum capacity of 16. 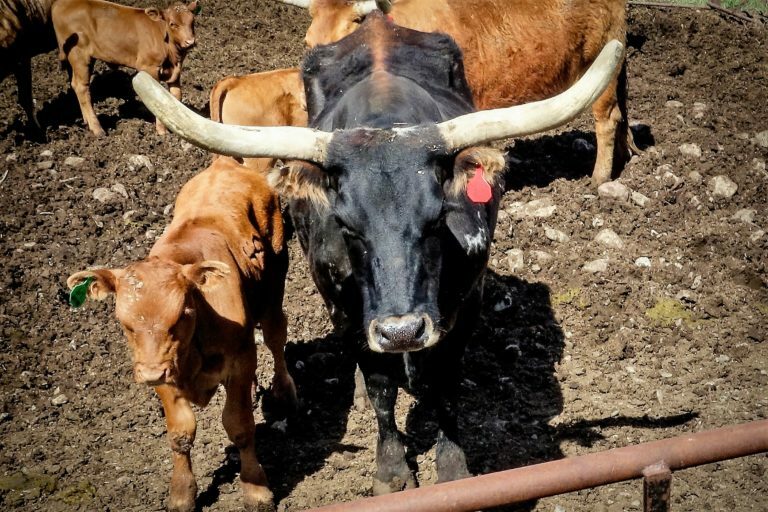 If you are looking for an escape from it all, this is the dude ranch for you! Wildflowers! One of our guests favorites is the prickly poppy. Fields of these beautiful white flowers are blooming in full force in June and July. They make for a picture perfect photo opportunity. Wildflowers of all shapes, sizes, and colors flourish during a Gila National Forest summer. Riding through incredible canyons! Taylor Creek and Beaver Creek meet to join the East Fork of the Gila River and all three waterways twist and wind their way through canyons. A must see spot for all our guests is what we call The Narrows. It is a narrow canyon where our horses can splash through and cool down while you gaze at the rock walls around you. No Gila National Forest summer would be complete without swimming in warm spring fed creeks. Every picnic ride we take you on includes a stop by a creek or river. Because warm springs feed our area, the water is always a constant temperature (around 72 degrees). Perfect for cooling down! Whether you want to dip your toes or immerse yourself, the crystal clear warm spring waters of the Gila National Forest welcome you. Cool mountain breezes and low humidity! No need for air conditioning here. Even if the temperature climbs into the 80’s and 90’s during the day we get a big temperature swing and it cools off at night. Nighttime temperatures are typically 50-60 degrees. Sleep with your window cracked open while the sounds of the Gila National Forest summer night relax you to sleep. Clear starlit nights! The Gila National Forest is over 3 MILLION acres. Wilderness surrounds you and the night skies are truly a sight to behold. The complete lack of light pollution as well as very low humidity allows you to glimpse billions of stars. Not only that, you can also often spot the Milky Way and planets as well. Full moon nights are gorgeous as well, with nothing but the bright white moon as your flashlight. Ready to plan your Gila National Forest summer vacation? Contact us today and beat the heat in the Gila this summer! And be sure to mention that you heard about Geronimo Trail Guest Ranch first through RanchSeeker. Geronimo Trail Guest Ranch: Open March through mid-November. Geronimo Trail Guest Ranch is a real western adventure! 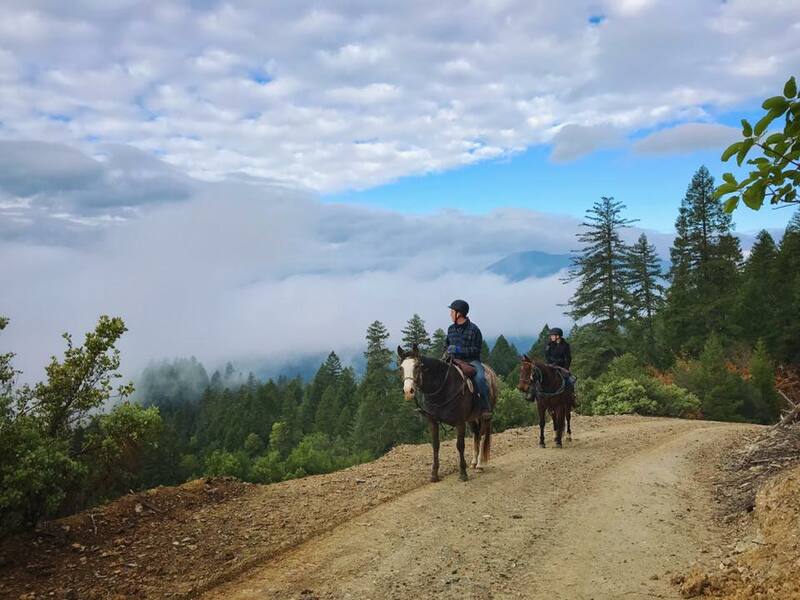 Horseback or hiking takes guests through beautiful forests of tall Ponderosa pine, through astounding deep canyons with sheer towering walls and crystal-clear streams. From the "Top of the World" guests view more than 3 million acres, 1000 square miles of the Gila National Forest, the Aldo Leopold and Gila Wildernesses. Elk, mule deer, wild turkey and other wildlife abound. Pithouses, cliff dwellings, and rock art of the earliest inhabitants, the Mimbres (750 - 1150 AD) to explore in the immediate vicinity. The land Geronimo and the Apaches roamed. Well-trained, responsive horses for every ability. 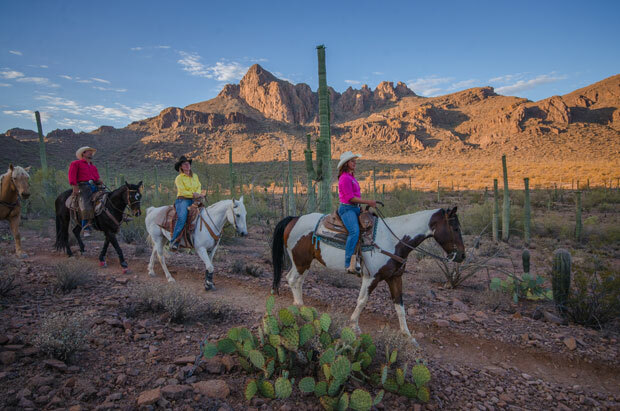 Our main focus is on trail riding: seeing the beautiful scenery from horseback and making this a special vacation for you. Comfortable, attractive accommodations, warm hospitality, relaxed atmosphere, great food, serenity. In the midst of bleak wintry months, when darkness falls early and daylight hours too short, it’s hard to imagine the eternal hope and promise of spring. We tend to forget the sheer essence and joy of a spring season; the whiffs of crisp fresh air blowing down the street; fleecy white clouds scudding across iridescent pale blue skies; buds beginning to burst; tender green shoots poking above ground and early daffodils wafting gently in the breeze. Spring heralds the perennial rebirth of earth and renewal of all life forms; a primeval force that is rooted deep in the human psyche which is celebrated in various ways by various peoples, such as Stonehenge, an English prehistoric Druid monument, where followers gather to observe the precise angle at which the sun rises over the ring of massive standing stones during the vernal equinox on March 20th when day and night across the globe is of equal length. The coming of Spring, was so integral to its culture, that the ancient Mayans bequeathed to the world the UNESCO archaeological site of Chichén Itzá in Mexico, which hosts countless visitors to its Kulkulkan Temple at the dawn equinox, all hoping to glimpse a mythical serpent slithering along the steps of the pyramid owing to the effect of light and shadow created by the early Mayan architects and astronomers. The First New Moon of Spring honoured by the Cherokee tribes, involved much traditional feasting, music and dancing as decreed by the seven “principals” or elders, who determined the appropriate dates in March to proclaim the arrival of spring. And not least….the sensational avant-garde ballet and orchestral work Rite of Spring by the Russian composer Igor Stravinsky which premièred in Paris, May 1913 and portrayed earthy pagan Russian rites. Despite its somewhat rowdy reception by the audience, the musical score has become an acclaimed concert staple. These and many other spring festivals, events and ceremonies welcome the advent of spring, which usually falls between March 20th and ends June 20th within the Northern hemisphere. Springtime is what pulls us out of ourselves, to shake off the winter doldrums and embrace the earth awakening out of its deep winter sleep. And…. 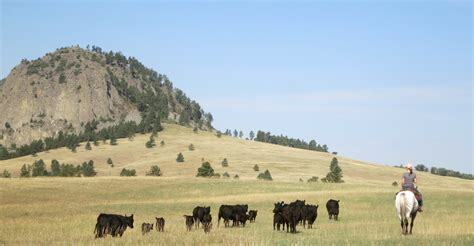 what better place is there to experience this annual resurgence of life firsthand than at an authentic working ranch, which offers the opportunity to see gangly new calves, cattle being driven out to pasture, wildflowers in bloom and spectacular landscapes. Horses N Courage a unique Montana dude ranch, is one such place to experience that primordial call of nature and get back to the basic, simpler things of life. Situated in Sawmill Canyon, in beautiful Big Sky country and surrounded by amazing mountain scenery, this rustic working ranch is owned and operated by the Hereim family and can accommodate up to 8 guests at any one time between June 1st and September 1st. With such a small number of guests, the warm and caring hosts soon have guests feeling right at home! 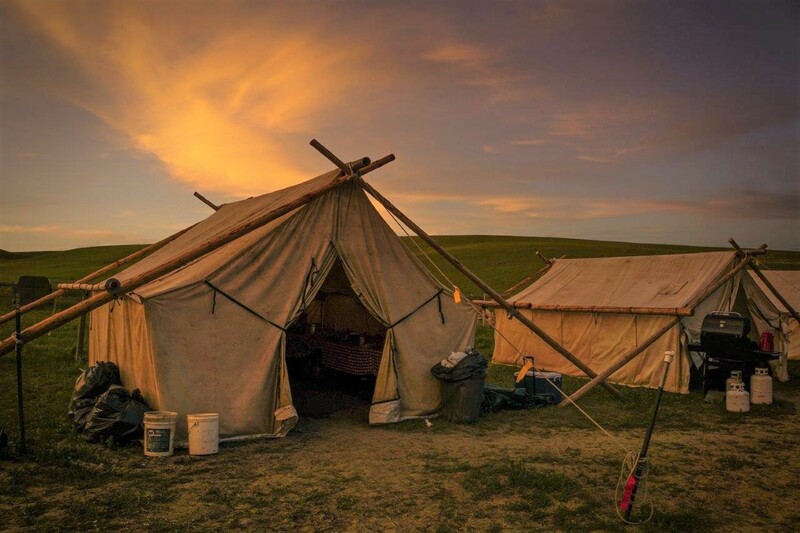 Accommodation at the ranch campsite compound consists of comfortably equipped Wall-Tents for up to four adults or Cowboy-Teepees suitable for one adult or two children. An immaculate clean old-fashioned outhouse is a short walk away. A self-standing, large wood-sided outdoor shower with propane heated water sits behind the cook tent, facing the trees for absolute privacy. 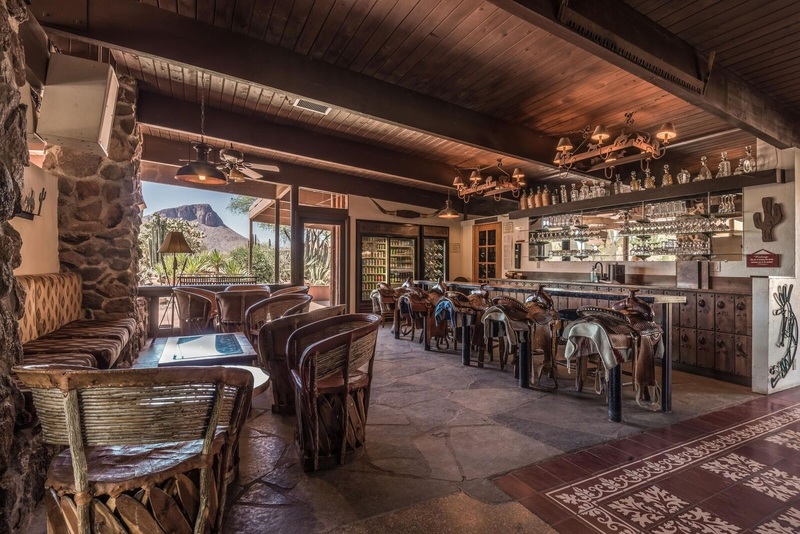 Hearty ranch-cooked meals are prepared and eaten outdoors on a friendly communal dining table and include such mains as ranch-raised natural beef with western style fixings. Big mountain breakfasts and generous lunches will satisfy even the hungriest appetite. Guests are also encouraged to bring their own smores for the nightly campfire, favourite snacks, soft drinks and alcohol if desired. If you do have any dietary concerns, please advise the ranch at time of booking. 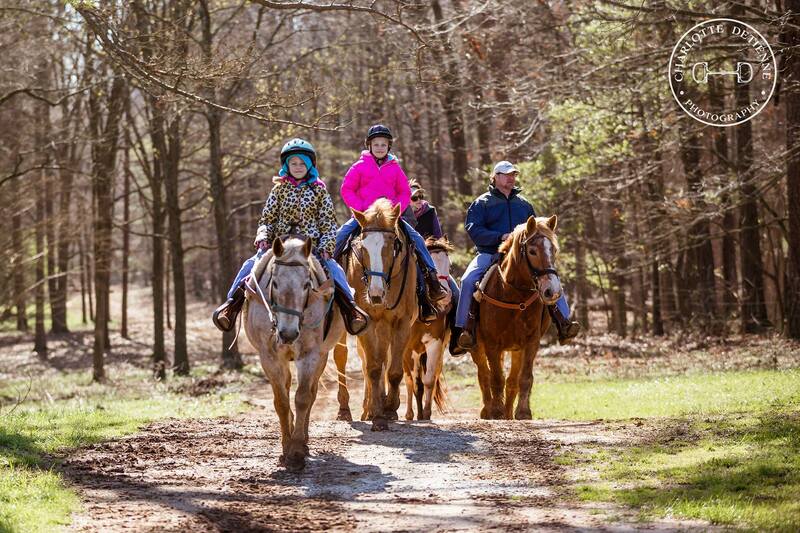 This down-home kind of ranch is the perfect place for experienced horse-riders to spend many hours in the saddle honing their skills and for intermediate riders to gain valuable practice time in the saddle. Depending on ability and comfort level, guests can ride up to 6 hours a day, exploring the 2,000 acres of private ranch territory while observing abundant wildlife. 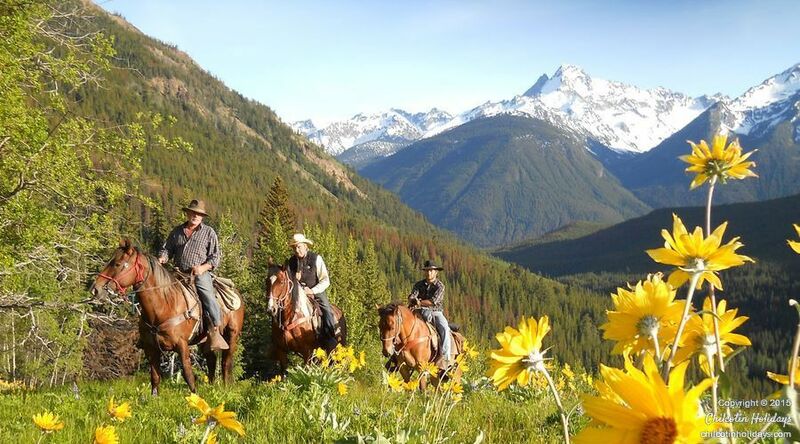 Special thrills include herding and moving cattle or trail riding among alpine meadows festooned with wildflowers and breathtaking vistas of Big Sky country. 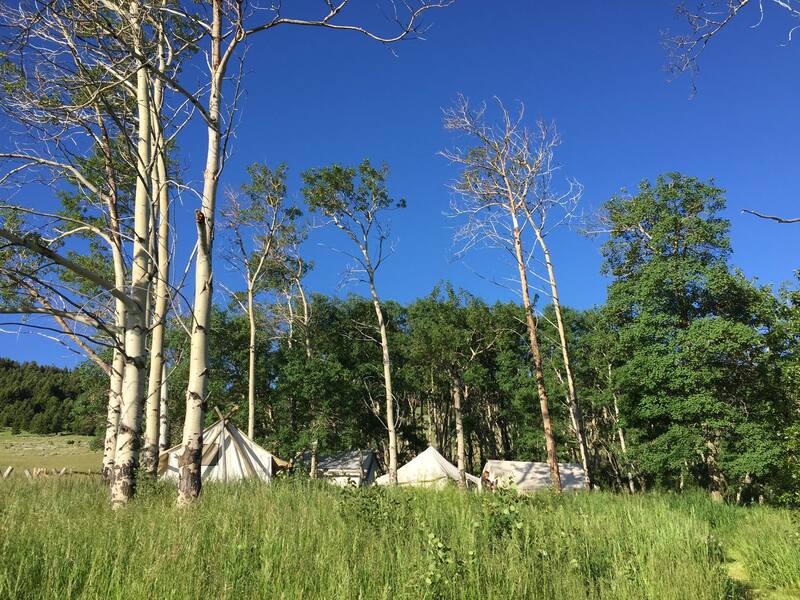 The ranch offers packages of 7 days/6 nights or 4 days/3 nights with wall-tent or cowboy-teepee accommodation and three western meals per day. Non-riding activities include mountain hiking, photography, rope lessons or soaking in the natural hot springs at nearby White Sulphur Springs. In addition, the ranch hosts a Women’s Healing retreat and other Well-Being events during the summer months. Please see ranch site for details. 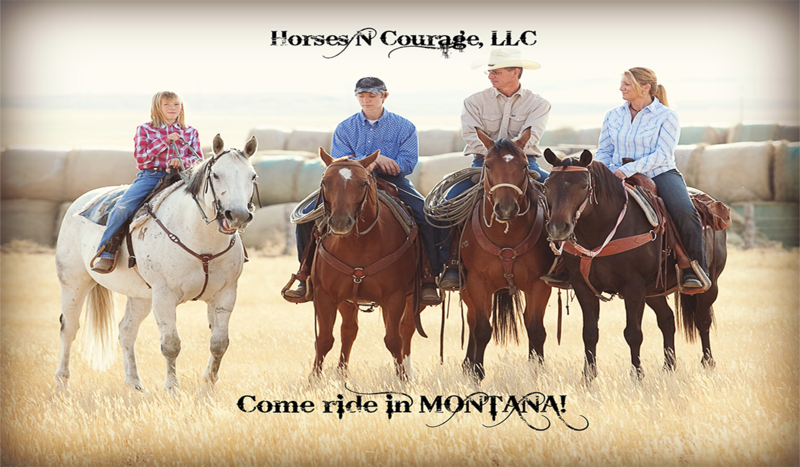 Horses N Courage is a WiFi free ranch, which allows guests to totally disconnect from the constant clamour of cell-phones, to live truly in the moment and recharge their own inner life source. Open to guests since 2003, the minimum one-week stays, available from May 19 to October 13, offer experienced and intermediate riders age 16 and up, an invaluable, up close opportunity to participate in all the many adventurous aspects of a working cattle ranch, such as moving cattle, checking fences and reservoirs, rounding up strays, roping practice and cutting as well as loading and shipping cattle. 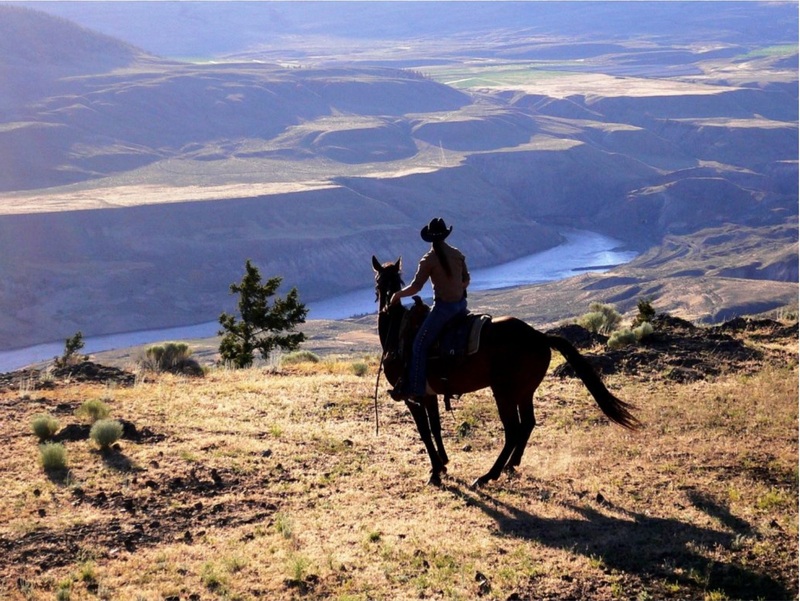 The ranch is an advocate of the “Parelli Way” style of natural horsemanship. 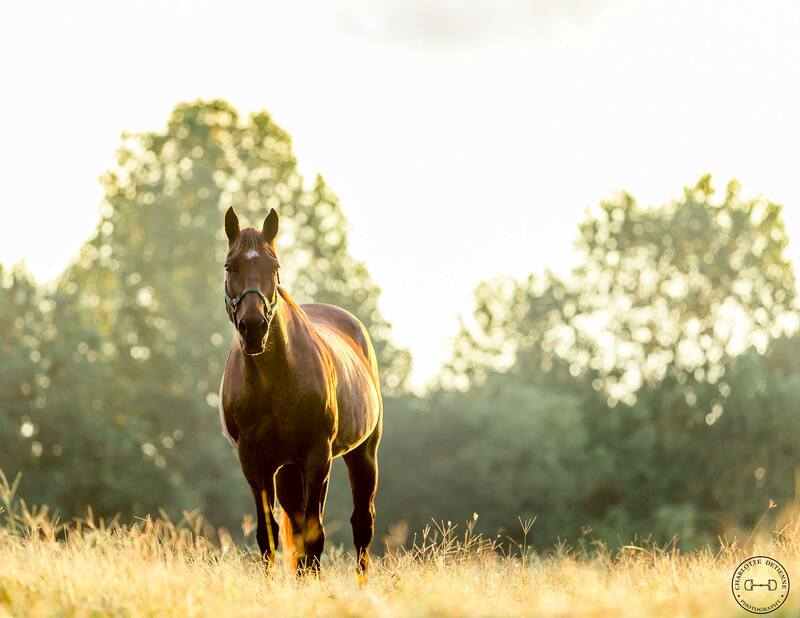 As a fully functional, busy ranch, it assigns each guest rider two horses for the week and advises that riders should have previously ridden in all three gaits and be able to sit in the saddle for up to 3 hours. Other activities to be enjoyed for riding and non-riding guests are hiking, wildlife spotting, swimming, boating and fishing for trout at the ranch lake. The Devil’s Tower, an ancient volcanic vent and the first ever National Monument, is 30 minutes away. Mount Rushmore and the gold digging town of Deadwood are less than 2 hours. Accommodation consists of 5 comfortable bedrooms with private baths at the Guest Lodge which can house up to 10 guests. The attached kitchen and dining room provide three good, satisfying ranch-cooked meals a day or lunch out on the trail and all-day snacks. The ranch produces an astonishing variety of home-grown beef, lamb, goat, geese, ducks, game birds, trout, eggs and vegetables. The lodge has furnace and woodstove for heating or A/C during the warmer months. For leisurely evenings after an active fun-filled day, what could be more relaxing than kicking back on the guest lodge balcony with new-found, like-minded guests admiring the Missouri Buttes; maybe a friendly game of pool in the recreation room or sharing a soak in the hot tub under a pristine star-studded night where cares are forgotten, and the world is suddenly fresh and new again. Spring is such an awesome, magical season…. it’s a sign of things to come with life spilling over in joyous abandon, a time to reassess and discover what truly is important in this life and nothing could be better than a spring ranch vacation to kick start an exciting year ahead! Let RanchSeeker help you find that perfect ranch to reacquaint you with that glorious feeling of being alive! Once you’ve experienced Montana, you’ll understand why they call it “Big Sky Country.” The majestic beauty of the state is apparent wherever you go—just as apparent as that big Montana sky! 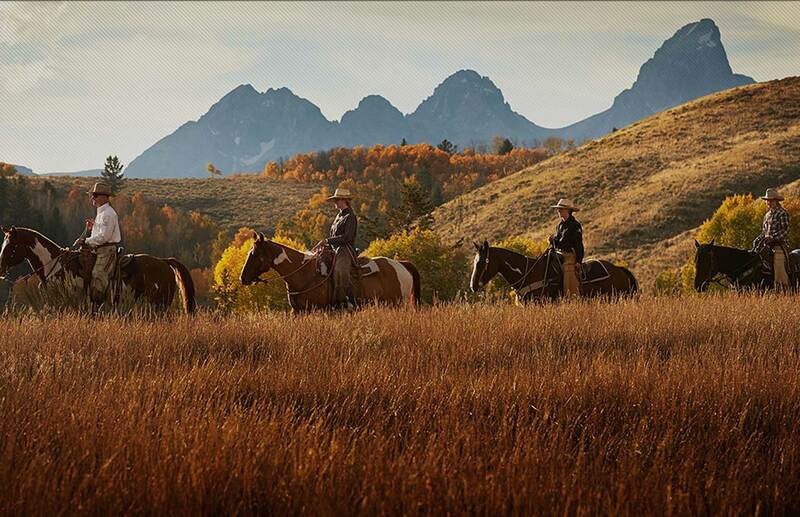 When it comes to experiencing a true western vacation, nothing can compare with Montana dude ranches. 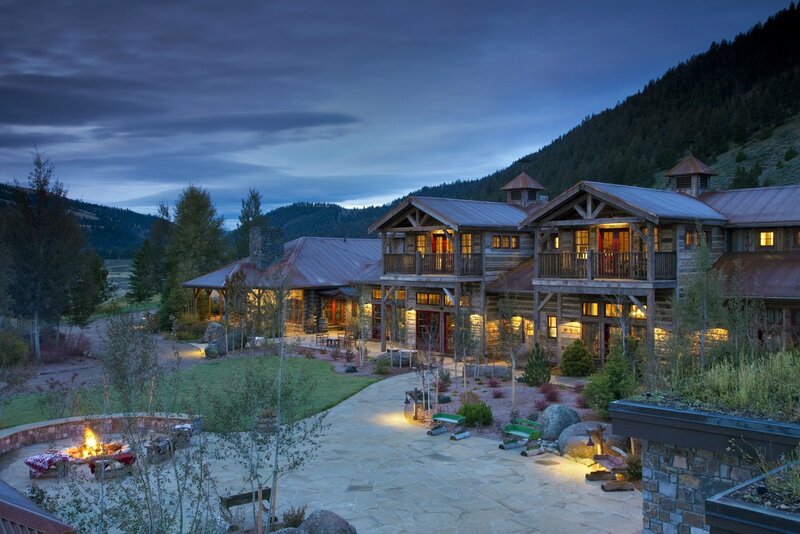 And these Montana ranch vacations are available in every corner of Big Sky Country. Take in a magnificent view of Yellowstone National Park; experience the awesome beauty of nature at Glacier National Park; or just relax in the historic charm of the Whitefish area. Ranches in Montana take advantage of the national parks (including the well-known Yellowstone National Park) and the mixture of mountainous and prairie landscapes to attract visitors. 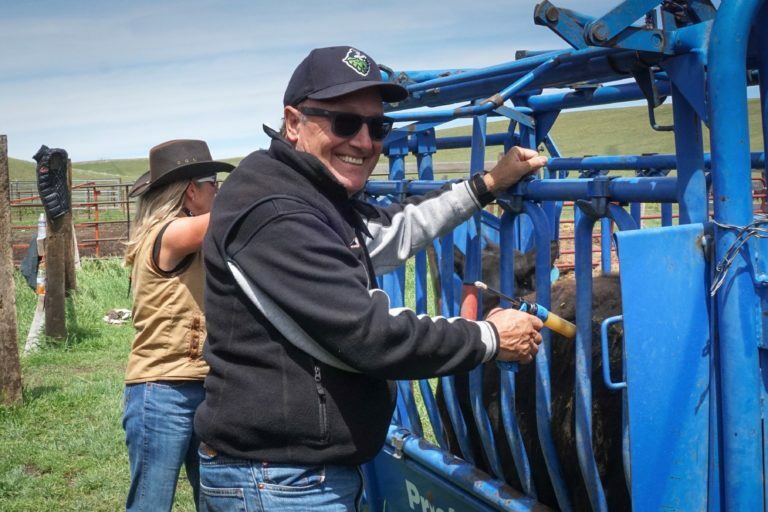 If you’re looking to experience authentic ranch life on a dude ranch, many Montana ranches will take you along on cattle drives, show you how to brand the animals, and let you help out with the daily tasks. New Mexico has earned its nickname as the “Land of Enchantment,” and once you visit a New Mexico dude ranch you’ll understand why! This spectacular Southwestern state features breathtaking scenery that includes the 3-millionacre Gila National Forest as well as a genuine Old West experience. Your New Mexico ranch vacation will expose you and your family to a mix of cultures that create this “Land of Enchantment.” From the Spanish influence of adobe dwellings to the Native American art and history that thrives here, you’ll experience the modern-day version of the Old West at each New Mexico dude ranch! Geronimo Trails Ranch offers lots of excitement for those interested in a New Mexico ranch experience. Wyoming’s nickname is the “Cowboy State,” and it’s no wonder. This beautiful region is filled with wilderness areas and a true Old West feel. Wyoming dude ranches live up to the Cowboy State name in every way imaginable. 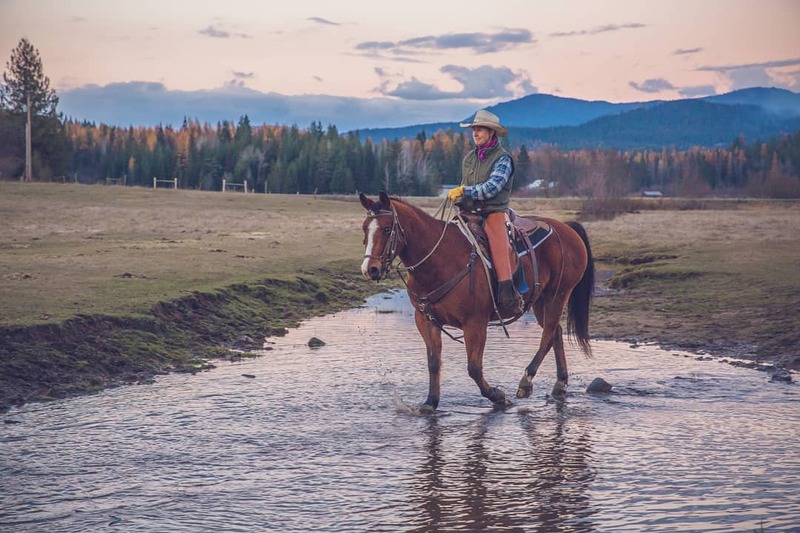 From cattle drives to cross country skiing, your Wyoming dude ranch vacation will offer something for everyone in the family: spectacular scenery, horseback riding, fly fishing, pack trips, wildlife viewing, hunting, snowmobiling and much more. 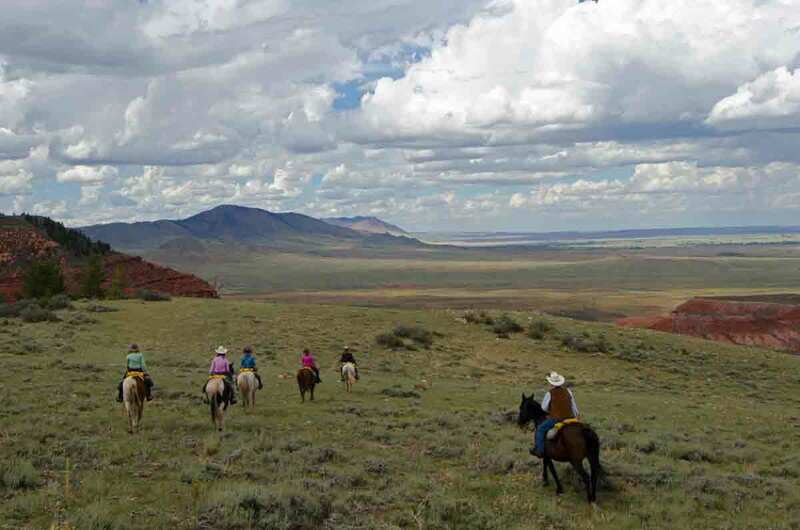 Whether you prefer the forested beauty of Jackson or the Western history and tradition of Cody, your Wyoming dude ranch vacation is sure to serve up memories that your family will treasure for a lifetime. Ranches in Wyoming take advantage of the Rocky Mountains in the west, the high plains in the east, and so many other breathtaking landscapes to attract visitors. Imagine hiking up the Big Horn Mountains in Wyoming during the day, then relaxing at night with at a local cowboy cookout. 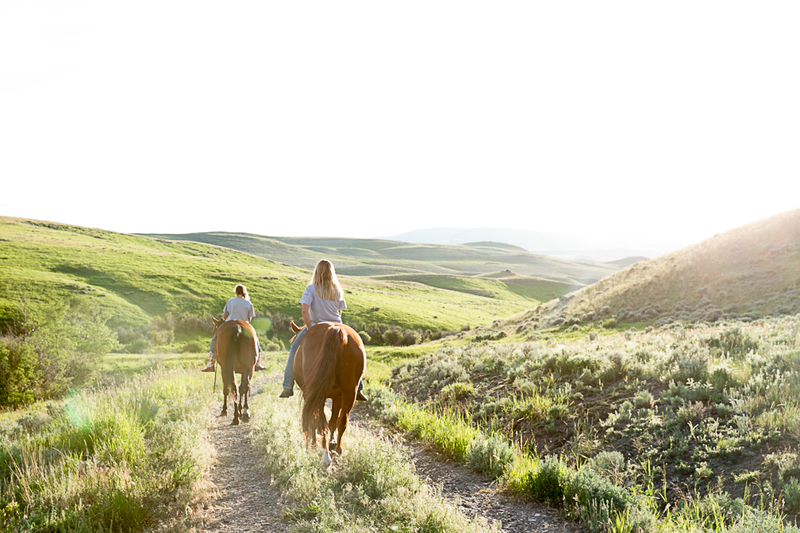 There are so many activities, both indoor and outdoor, that you can partake in during the stay at a Wyoming ranch. 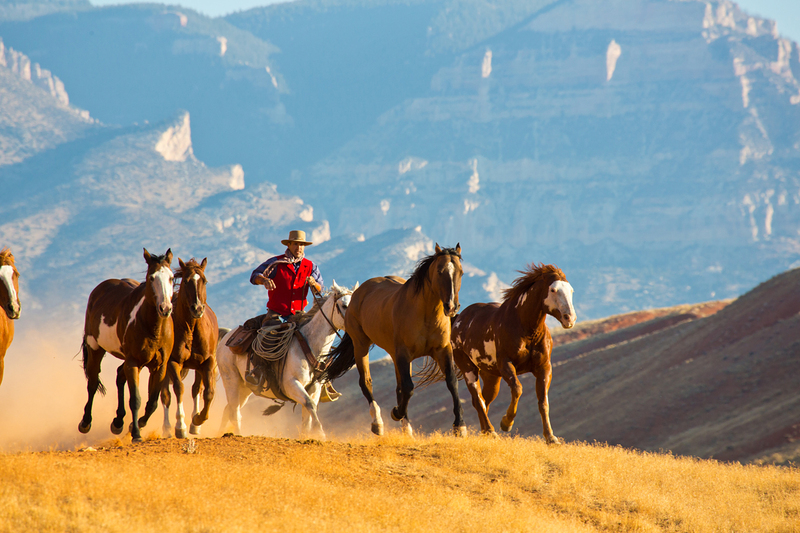 From Yellowstone to Cheyenne, from the Bighorn Mountains to Medicine Bow, you’ll find Wyoming dude ranches in every part of this magnificent state. 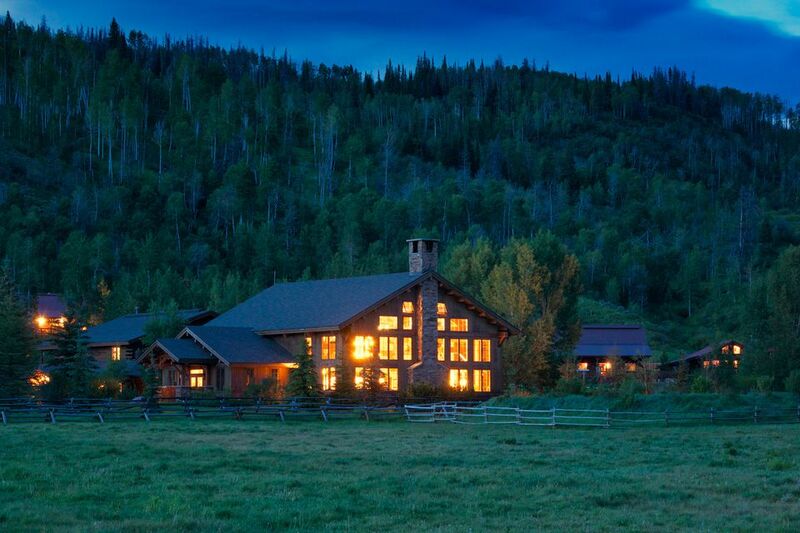 Ranch Seeker makes it easy to browse through everything these beautiful ranches have to offer. 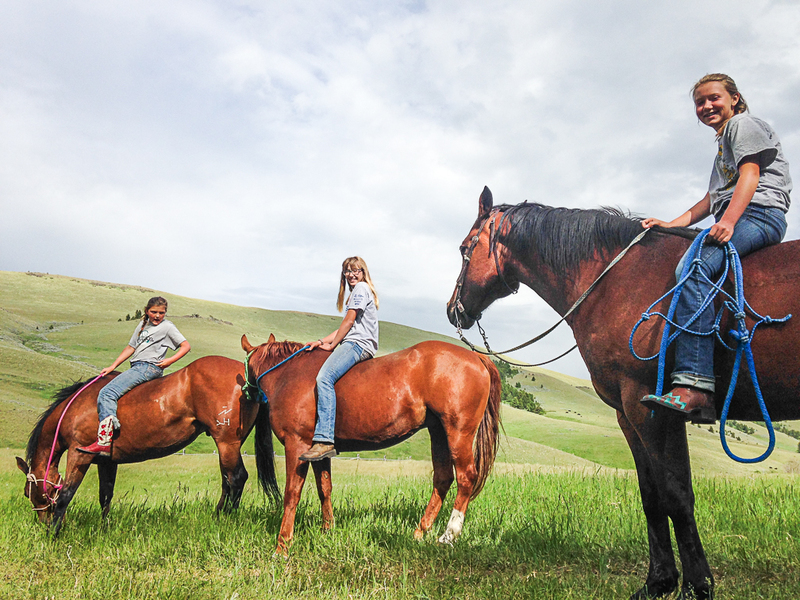 Finding the perfect Wyoming dude ranch for your family is just a click away! 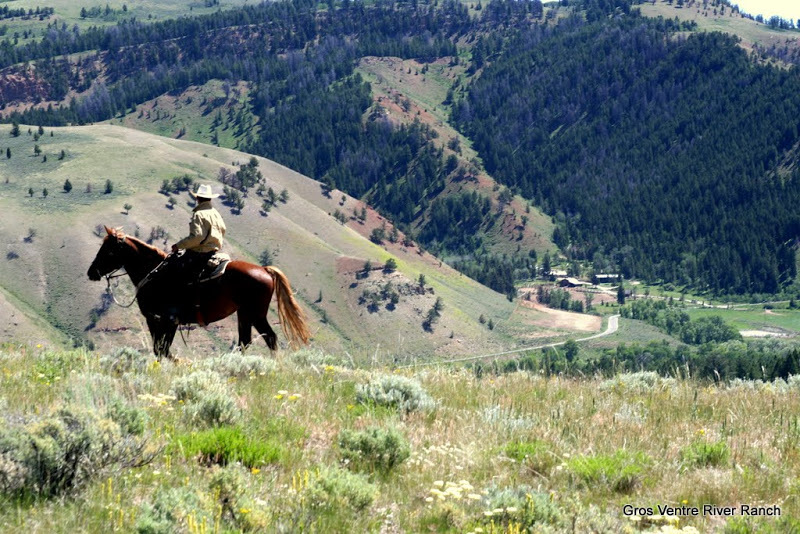 Check out these Wyoming ranch favourites: Gros Ventre River Ranch, Klondike Ranch, New Haven Working Cattle & Guest Ranch, Red Reflet Ranch, Spotted Horse Ranch, and the Hideout Lodge & Guest Ranch. Be sure to subscribe to our blog so that you can read next week’s installment about other great locations for your next vacation.